The Holy month of Ramadan is about to begin and we can already feel the festive vibes. In Hyderabad, people wait for Ramadan every year to taste the heavenly Ramzan special Haleen that’s served only during the Holy month. It’s not surprising to see a kilometer long traffic jam outside restaurants like Pista House and Shah Ghouse just to get a packet of freshly prepared Haleem. But Hyderabad is not just about Haleem, foodies also love to hog on dishes like Nihari that’s cooked to perfection, juicy Kebabs, Pathar Ka Gosht, and a lot more. Drooling already, aren’t you? 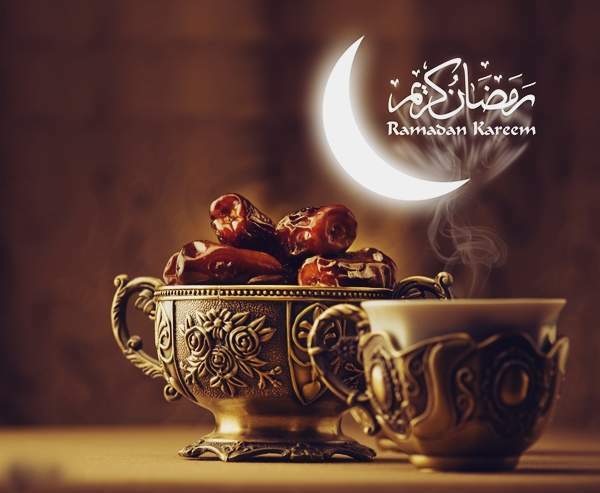 Ramzan dates in 2019 are speculated to start from the 4th of May till the 4th of June. 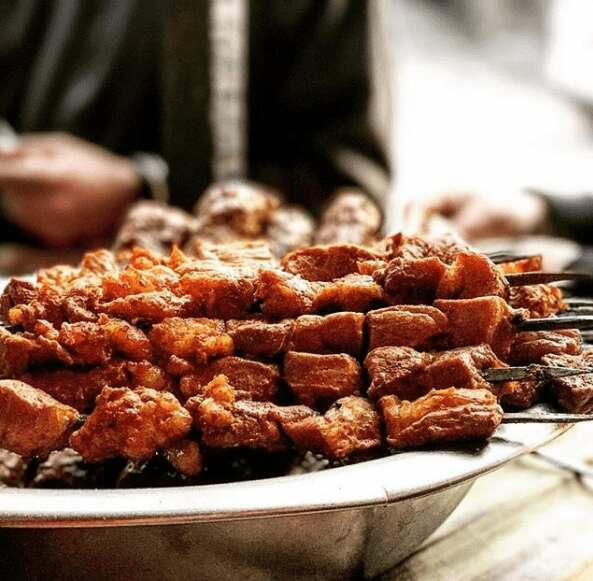 While the city gets decorated like a newly wedded bride for Eid and food stalls for Iftar snacks line-up in every nook and corner, allow us to give you our suggestion on the best Ramadan Food in Hyderabad and where to have them. eat to your heart’s content as we have discount coupons and deals for you to save your pockets from burning while you do you Eid shopping. After a whole day of rigorous fasting and undiverted devotion, what to eat for Iftar matter the most. The bustling crowd on the streets to pick up lip-smacking Iftar snacks is a very common sight during Ramzan, especially in cities like Hyderabad, Delhi, Lucknow, Srinagar, etc. Deciding what to eat can be a little taxing so here’s our pick of the Must Eat dishes during Ramzan to open your fast. Brace yourself, you’re just a few seconds away from digital foodgasm. Get the healthiest and tastiest food delivered right to your doorsteps with Freshmenu offers and coupons. Haleem is every foodie’s desire! With the start of Ramadan, you will find the streets of Hyderabad crowded with stalls selling Haleem. Even the big restaurants offer this amazing delicacy. 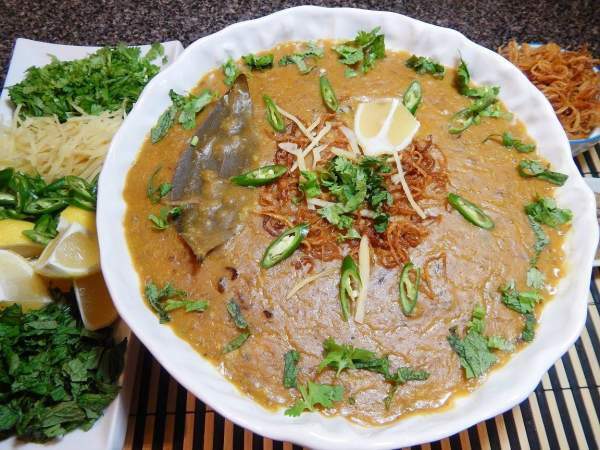 Haleem is very rare to find before or after Ramadan month and takes the whole day to be cooked properly. This dish is prepared by mincing mutton or chicken with a wooden spoon while it is cooked on the Bhatti and different spices and ingredients are added on a timely basis. It is a must try dish for its great taste and unique texture. Whatever you do, don’t miss this exquisite delicacy at Shah Ghouse in Charminar or near Gachibowli. Opening Hours: 5 a.m. – 11 p.m.
Charminar is the ultimate destination for the first timers and the locals during Ramzan. The festive mood of the city during this auspicious month can be distinctly felt in and around Charminar. The Old City is beautifully decorated and the streets come to life at night when people come out to shop. 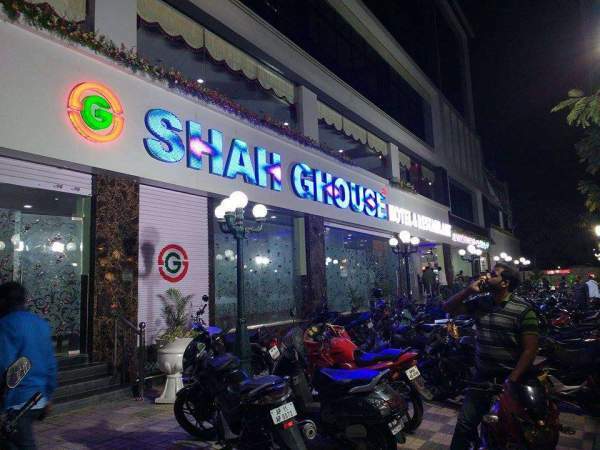 Shah Ghouse Café located in Charminar and Gachibowli serves mouth-watering Haleem apart from excellent Gosht, Kebabs and Keema Rotis. 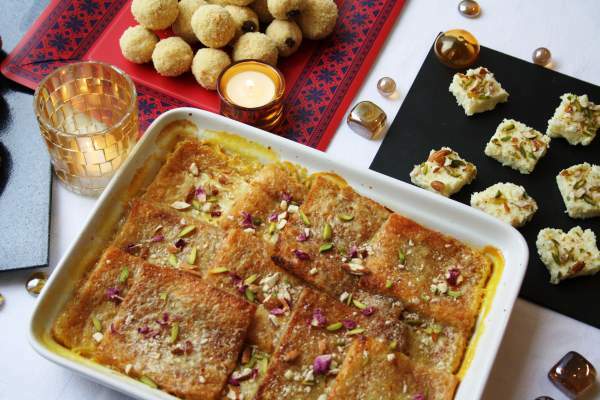 They also serve traditional Ramadan desserts like Sheer Korma, Double Ka Meetha, and Kaddu Ki Kheer for a complete feast. 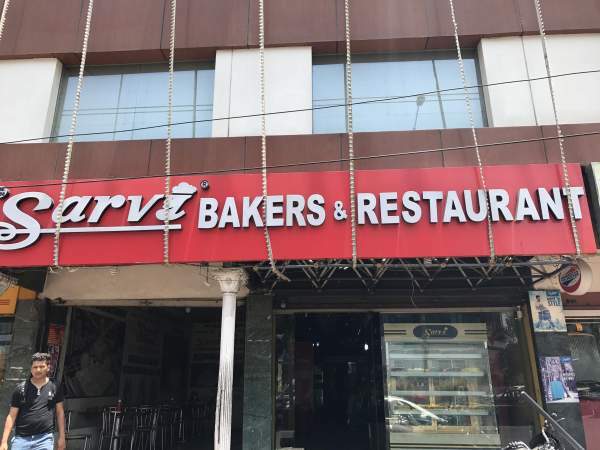 Though the restaurant has another branch at Tolichowki, we recommend you to go to the Charminar one, in order to get the real Hyderabadi flavor. Opening Hours: 11 a.m. – 11:30 p.m. Ask any Hyderabadi and they would definitely mention Pista House among the best places to eat in Hyderabad during Ramzan. Unlike other high-end diners, this joint does not have a fancy set up. However, their taste is rich and highly authenticated. Pista House’ spicy Mutton Haleem is famous all throughout the city apart from their biscuits and cakes. the restaurant has branches all across the city and it also delivers Haleem to major cities like Mumbai, Pune, Delhi, Jaipur to name a few. Opening Hours: 5 a.m. – 2 a.m.
No food tour is complete in Hyderabad without tasting the world famous Hyderabadi Dum Biryani at Hotel Shadab. During Ramzan month, the hotel is jam-packed with the regular as well as new customers. Apart from Haleem and Biryani, Malai Kebabs and Pahadi Kebabs are also a favorite among the locals. 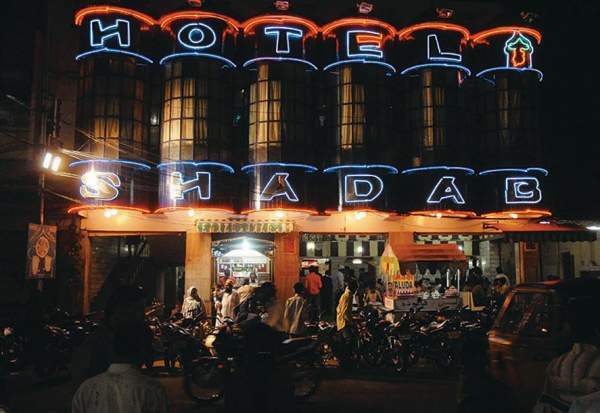 Hotel Shadab is definitely the ultimate destination for the best foods in Hyderabad during Ramzan. Galawat Kebab is another in our list of the best Ramadan food in Hyderabad during this month. 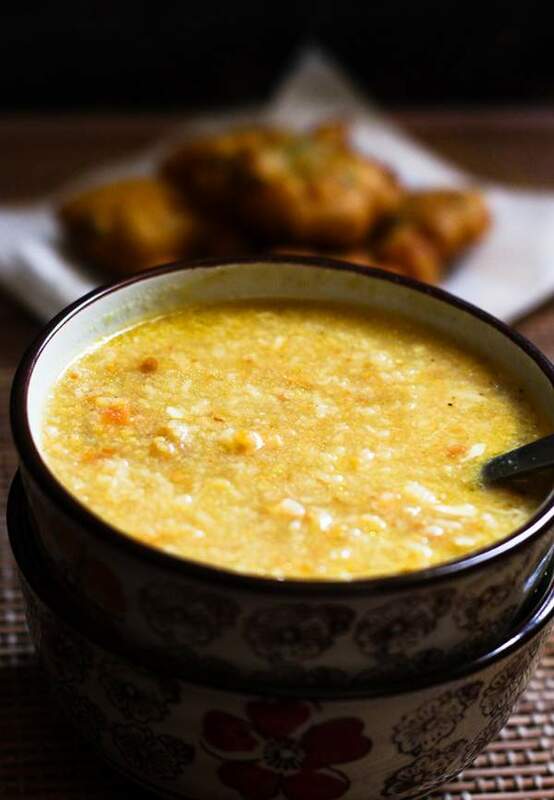 It is typically an Awadhi recipe very popular in Lucknow. In the process, many restaurants and street food stalls in the city started preparing it. The word ‘Galawat’ means ‘melts in the mouth’, and that is exactly what happens when you put this delicious kebabs in your mouth. It’s made with minced mutton and papaya paste, and many traditional spices. This dish is high-in-demand during Ramadan month and is found at every Lucknow restaurant but the best one is Tunday Kebabi in Aminabad. Opening Hours: 11:30 a.m. – 11 p.m.
Hyderabad should soon be officially declared as the food capital of India. Name any Indian dish and you’ll find it here. 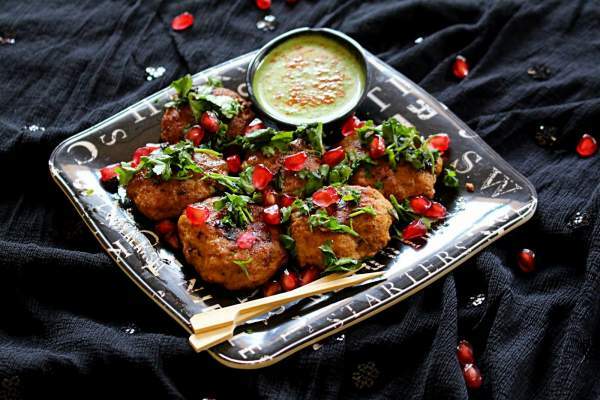 You will get awesome Lakhnavi Galawat Kebab at Sarvi located on road number 8 in Banjara Hills. Nihari is a recipe that originated from old Delhi and is eaten a lot in the city, especially during Ramadan. 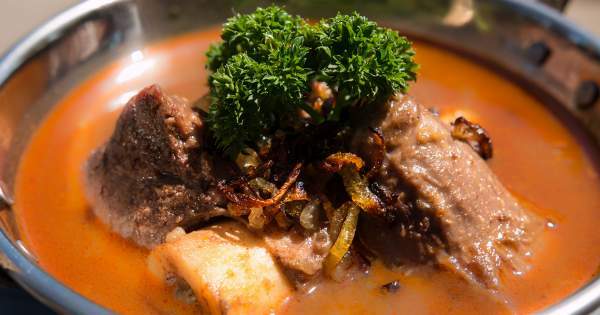 It is a stew that is slowly cooked with mutton and is served with goat’s bone marrow. The word Nihari originated from the word ‘Nahar’ meaning ‘day’, as it was served to kings early after their morning prayers. Nihari is often eaten with halwa puri or Rumali roti which is very similar to ‘Hyderabadi Paya’. Nihari is one of the very few Muslim dishes to have originated in Delhi. Sagheer’s Nahar shop in the Baradari lane of Ballimaran in Delhi and is very famous for its out-of-the-world Nihari. Today, it is one of the best dishes served in Hyderabad during Ramzan. This could read like the old Smirnoff ads – I was a regular at Paradise Biryani till I discovered Shadab. This is is not a fancy restaurant, but the food is divine. We sat upstairs, the downstairs being more like a mess hall in the barracks or in a school cafeteria. The biryani and nihari were superb, the sheek kebab just okay. Overall, the food quality/taste is what I would expect in a Michelin 2 star restaurant, or even 3 star if the sheek kebab didn’t drag it down. Paradise would be a 1 star. I ordered biryani from their take-away location in Banjara Hills and the quality was very good too. Didn’t get anything else at the take-away counter as it needed a 20 minute preparation time. This one is not just a favorite of Kashmiri people but is also celebrated as one of the best Ramadan food in Hyderabad during Ramzan, other than Delhi. Kashmiri Mutton Tujji is a different type of seekh kebab where the mutton is cut into small pieces and is marinated in various Kashmiri spices and then cooked on the tujj (seekh). These are served with chutney and special Kashmiri bread called Lawasa. These little heavenly bites melt in your mouth and you can never have enough of them. It is a little royally priced, but worth every penny. The best place to have the Kashmiri Mutton Tujji is Imran Cafe in Srinagar. You can either prefer to enjoy Tujji in a royal style at Taj Falaknuma Palace or can visit Hotel Taj Tristar, where every year they host a food festival that any food lover wouldn’t want to miss. From Tujji chicken to garlic kheer and sheer khurma, you literally get to taste the lost flavors of Hyderabadi royal foods. Here is a list of food that you are likely to find in every household during the Iftar time. So make some Hyderabadi Muslim friends and attend one of their iftar parties to enjoy these homemade delicacies. If we are going to talk about Ramadan, one iftar snack definitely comes to everyone’s mind- Dahi Vada. The lentil dumplings soaked in spicy yogurt sauce is served at pretty much everyone’s for iftar. 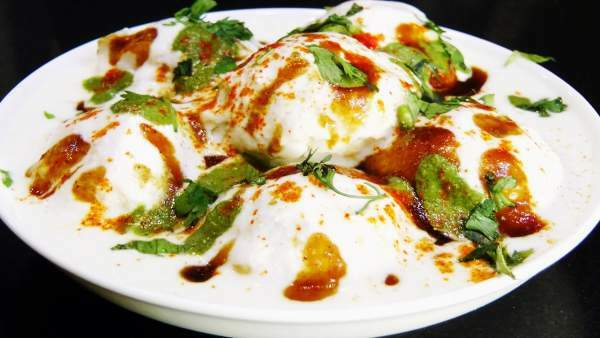 The variants of this are Rajasthani Dahi Bada, Delhi Dahi Bhalla, Odia Dahi Bara. It is best served cold. So next time you are hosting an iftar party or going to a potluck in general, include this in the menu. No last minute goof-ups, right? It has been the best Ramadan food for me growing up. Oh, Pakodas and Bajjis are the absolute best. They come in all shapes and sizes. 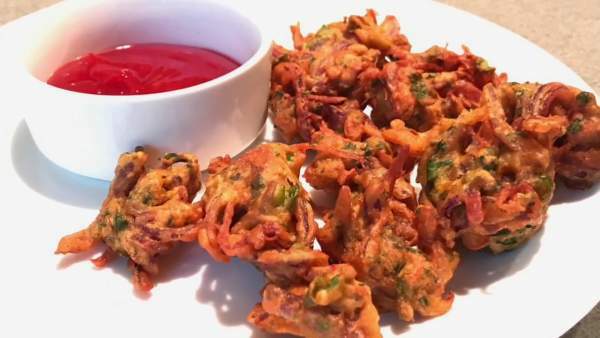 From Aloo Bajji to Pyaaz Pakodas, they are must-have snacks that you see being served at every iftar party and every household where fasts are being observed. This one is on the sweet side. It is tasty and relatively easy to make when compared to a lot of other desserts. Hence, it is the best Ramadan food to cook in your kitchen if you are running out of time. It tastes better when served chill. Make sure you add the fruits of your taste. Banana is one such fruit that tends to overpower in flavor. So if you aren’t a big fan of them, just skip them. Another dessert on the best Ramadan food list. 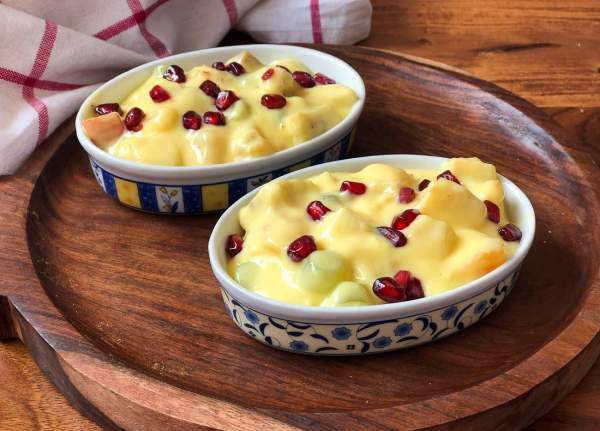 The Hyderabadi version of this dish is known as “double ka meetha”. 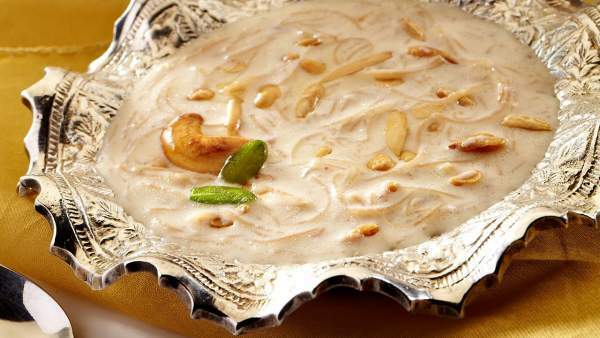 A very popular dessert in Hyderabad and rather delicious one too. Made with bread, this one is for every person who has a sweet tooth. A popular dish at parties and weddings and not just in Ramadan. This one flies high as the best Ramadan food out there Hyderabad during the festive season. I know this one is more of an Eid special but I couldn’t resist putting this on the best Ramadan food list. Everyone has heard about Sevai. This super delicious dish is one thing that is common in every household. Whether the above-mentioned dishes make it to become the Best Ramadan Food or not, they are definitely worth a try. 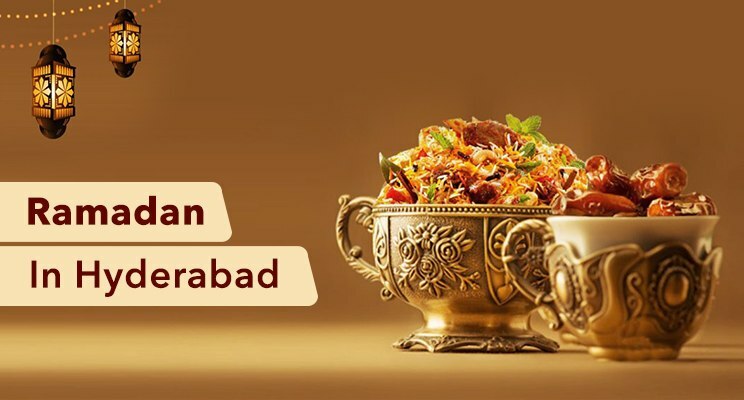 The splendid food journey that is about to commence on the 4th May 2019 will win over those who love to indulge in rich and flavorsome food in Hyderabad during Ramzan. Order some meaty delight from somewhere near your place using coupons and enjoy!